Whether you’re in the car driving, shopping at just about pretty much any store or watching TV with your family, music is an art which all of us are exposed to every day. Music is a powerful tool which most of us have associated with a memory, a time in our lives or the inspiration to do something great. If you know me, you know I’m a huge Rush fan. Although the amazing musicianship that has inspired me to pick up a guitar and a bass as a kid, then eventually, start my own business. The lasting influence that Rush had on me are the lyrics, which are primarily the work of drummer, author, and primary lyricist Neil Peart. 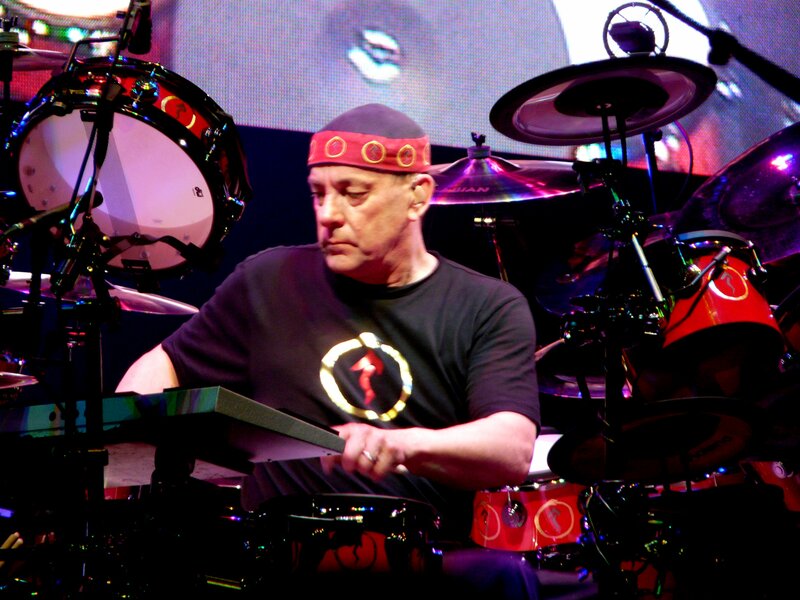 Neil Peart has addressed multiple topics in his lyrics from human emotions to science fiction, fantasy, and philosophy, just to name a few. Today, we are going to look at five lyrics by Neil Peart that have inspired me, maybe, you’ll find inspiration too! This is a great listen when you’re seeking the motivation to get up and do something. Marathon is a metaphor that life has its ups and downs as well as the need for balance and pace. How It Is, and Vapor Trails as an album have a long story behind them. This was the first album Rush released after Neil Peart lost both his daughter (auto accident) and wife (cancer) within a very short period. What makes How It Is so inspirational is how deeply personal the lyrics are. How It Is beautifully illustrates the state of mind many find themselves in after losing a loved one or suffering from depression. Show Don’t Tell certainly carries a direct, strait-to-the point message, best summed up in the line “You can twist perception. Reality won’t budge.” In a world where a lot of words are spoken and a good portion of them aren’t exactly true. Show Don’t Tell’s inspiration is to way to find the truth in anything by asking questions seeking the facts in order to form your own opinion. Witch Hunt is the third part (but released first) of a series called Fear which Neil Peart describes how fear works. It illustrates how fear is used to fuel the mob mentality. What makes this song such an inspiration is the realization that fear can only be spread when there is a lack of knowledge and understanding. Mission was born out of a conversation between Neil Peart and fellow Rush member Geddy Lee about people who were not satisfied with their lives. While the lyrics describe envy for those who have achieved wealth and fame, the inspiration of this song is the verse “A spirit with a vision Is a dream with a mission” meaning that anything is achievable with the right focus and determination. Did any of these songs inspire you? Tell us about what songs inspire you in the comments below! We may feature your answers in a future post!